*COLORFUL* What makes things memorable is that they are meaningful, significant, colorful. The COLORFUL Bracelet has a rustic charm to it and is just a fabulous piece for those of us who enjoy natural look and genuine things. 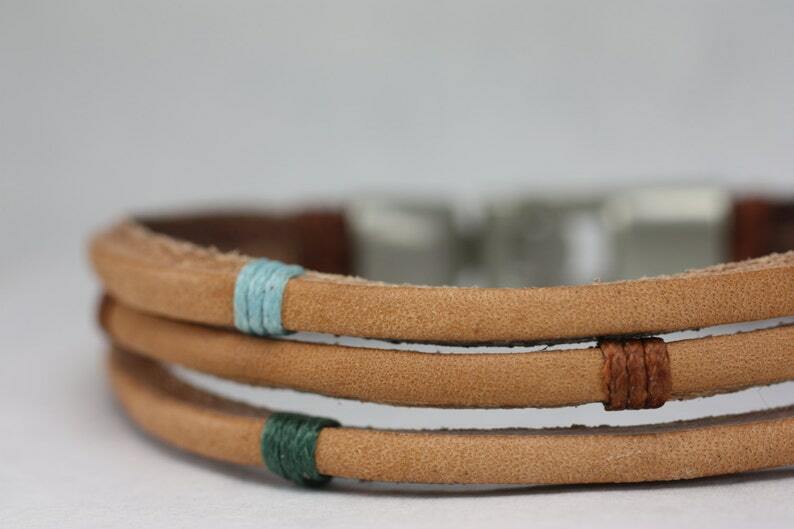 Genuine tan leather bracelet wrapped in blue, brown, and green wax cord with an antiqued silver clasps. Measures 8.5 inches in length.